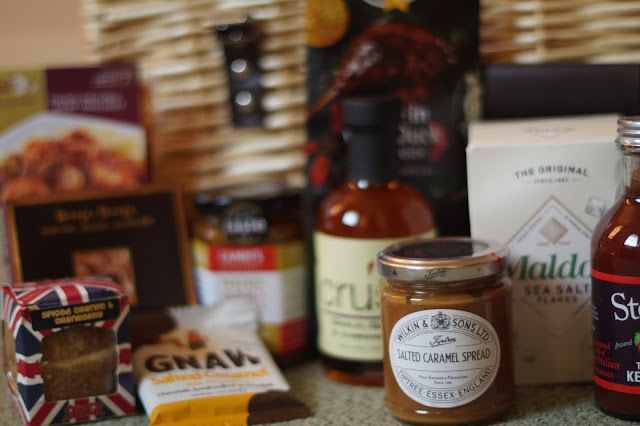 Who wouldn't be impressed with a hamper for Christmas? 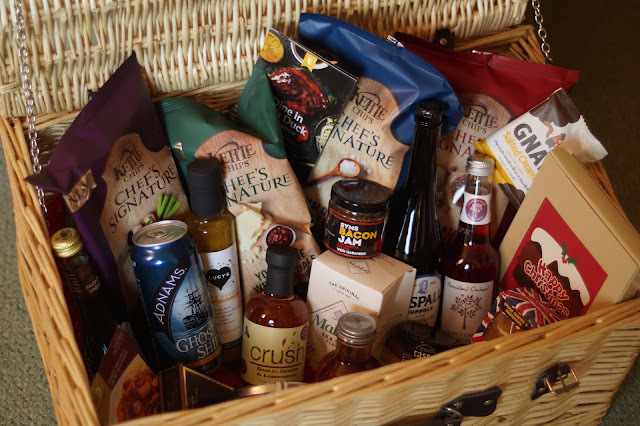 When Norwich based crisp extraordinaires Kettle got in touch to ask if I would like to be sent a basket full of local eats and drinks I was thrilled! Sidenote, I didn't realise that Kettle were based in Norwich, but it's a comfort to know that the bestest potato snacks are being crafted so close by. Nom nom. Sure enough a big box arrived with my name on it and low-and-behold it contained a beautiful hamper brimming with goodies. I'm a big fan of shining a light on local produce so it was great to see so many familiar favourites and to make some new discoveries too. 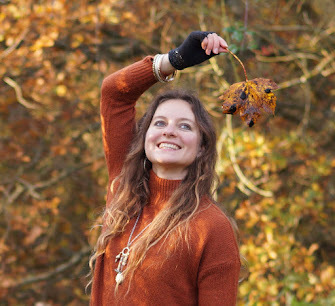 I've spent the last week and a half dutifully tucking in (oh, I know!!!!) to tell you a little more. I have to say, I am very impressed with how much arrived and the wonderfully indulgent nature of the selection. We felt spoiled with goodies! 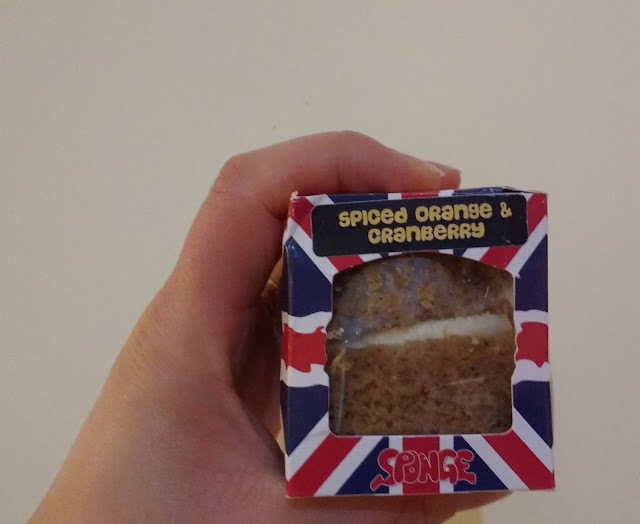 The most pressing to eat was the cake from Holt based brand Sponge which was teeny tiny and not something I was about to share, almost too good to eat! Spiced cranberry and orange tasted heavenly and super Christmassy, what a treat. 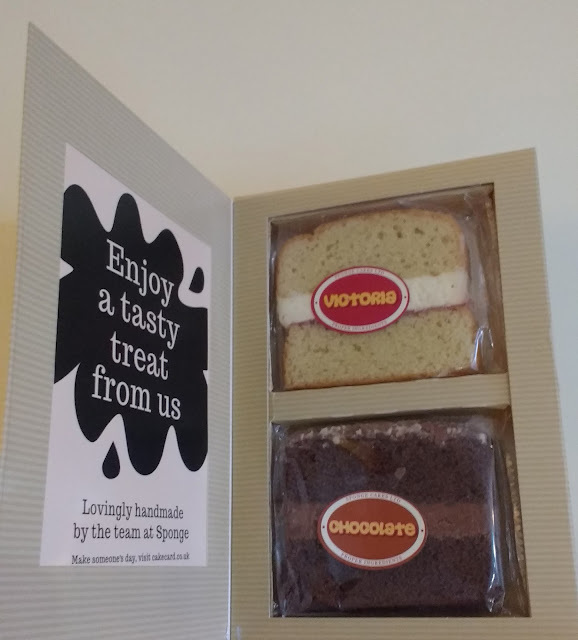 Then I realised that there was another cakey treat to be found in a most intriguing format. 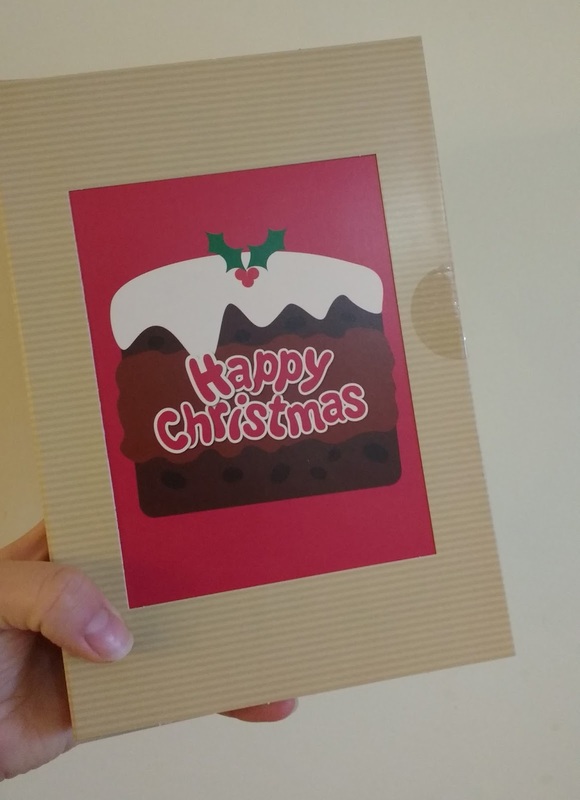 A cake in a card; a size suitable for just popping through a standard letterbox with a slice or two of cake inside. What a genius idea. And by the way, the cake was delicious. LOVE THIS IDEA. Cards sent to me without cake from now on will be met with disappointment. 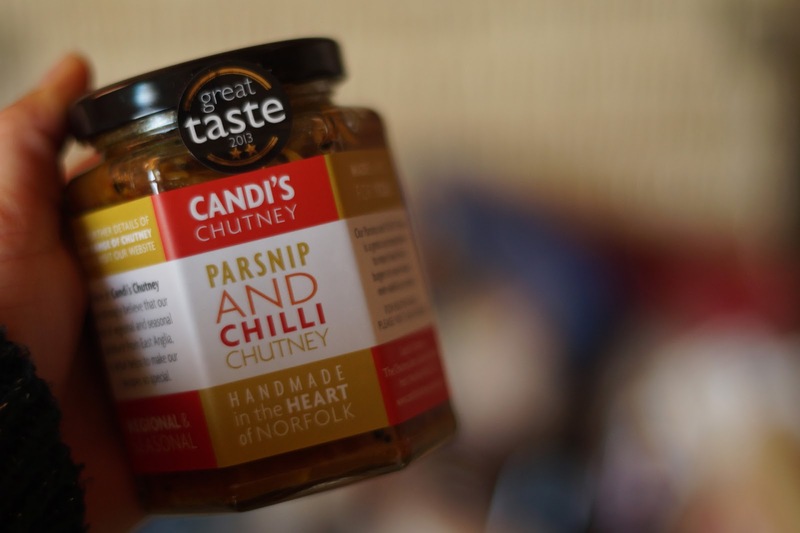 Yorkshire Wensleydale and Cox Apple Chutney (I loved these, though in a blind tasting I couldn't exactly define the flavour, but it was tasty). Maldon Sea Salt Flakes - C ate these all to himself in no time at all. Burrata Mozzerella and Sweet Chilli Jam - not too spicy but a gentle flavour. Gressingham Duck, Plum Sauce and Spring Onion... mmm these are my favourite and I'm squirrelling them away to keep them all to myself. 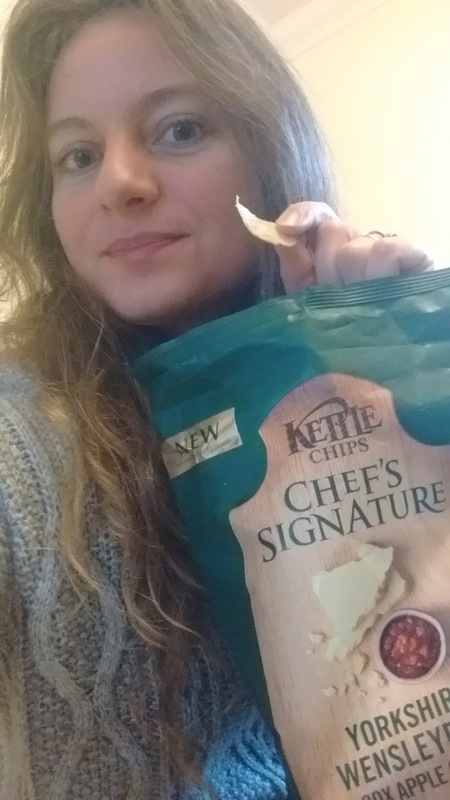 Overall, the crunch of the chips was just right and they're an excellent eat, Bravo to Kettle chips! Handcooked apparently, though their hands must be significantly hotter than mine. 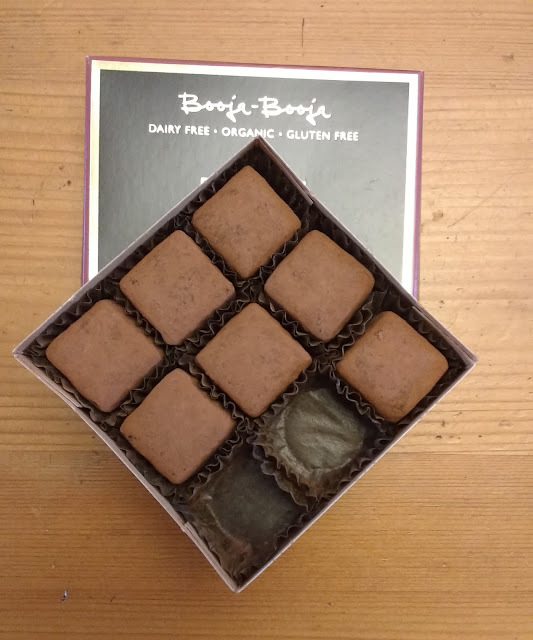 The Booja Booja box was one we opened straight away as it just looked irresistable. The rum sozzled sultana chocolate truffles were absolutely first class, I'm not surprised they've won 3 awards. There was a small bar of Gnaw chocolate which we mmmmmm'ed our way through. I hope the neighbours didn't hear. 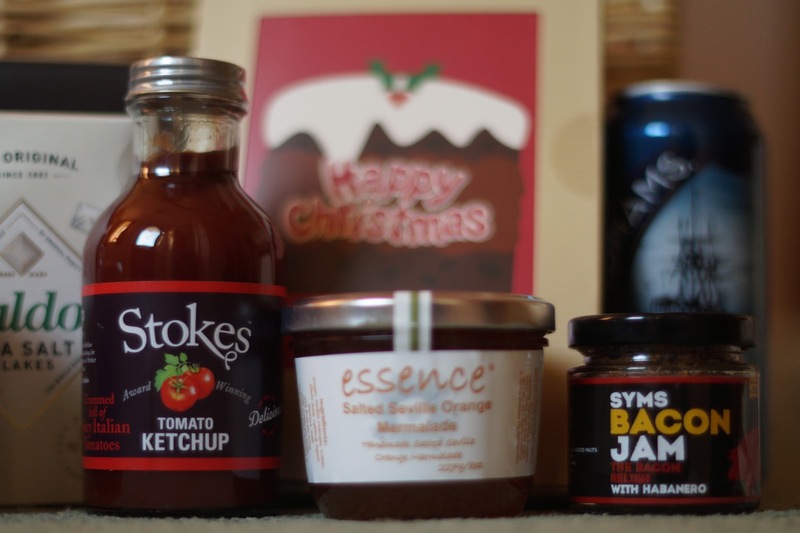 I also opened the Essence marmalade which is divine and may prompt me to buy bread to make toast asap, as there is nothing like toast and marmalade to get the day off to a good start. Talking of toast, oh! 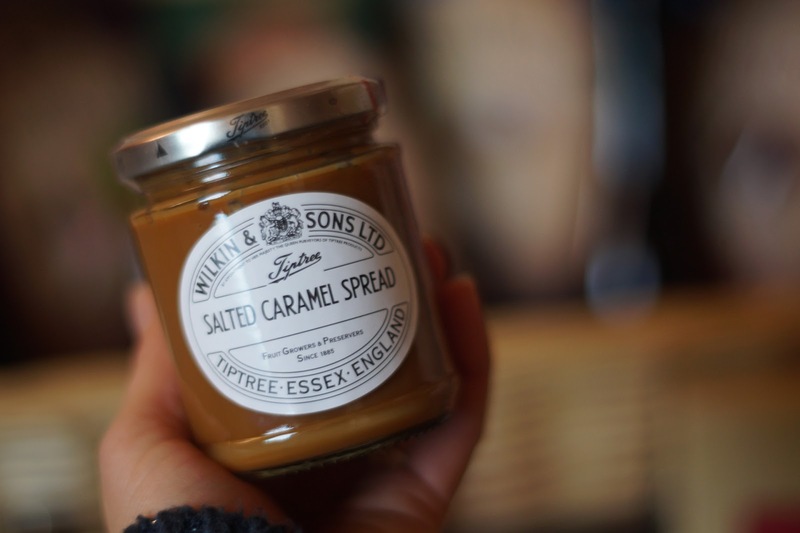 to be eating more of this Tiptree salted caramel spread which is every kind of amazing. Wow! I love it. I know Tiptree is famous for jams but I'd not come across this spread but it's a real crowd pleaser. 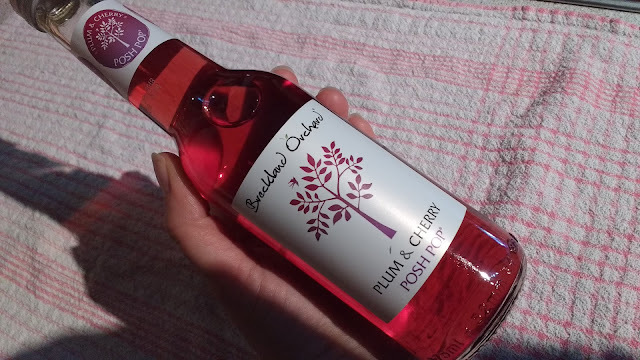 C snuffled the can of Adnams Ghost Ship so I don't feel guilty in the least about drinking the posh pop from Breckland Orchard, let me tell you that plum and cherry is every bit the treat it promises to be. I haven't tried everything yet but I'm excited to try the infused oil from Crush and my mouth waters at the though of Syms Bacon Jam (helloooooo!!) 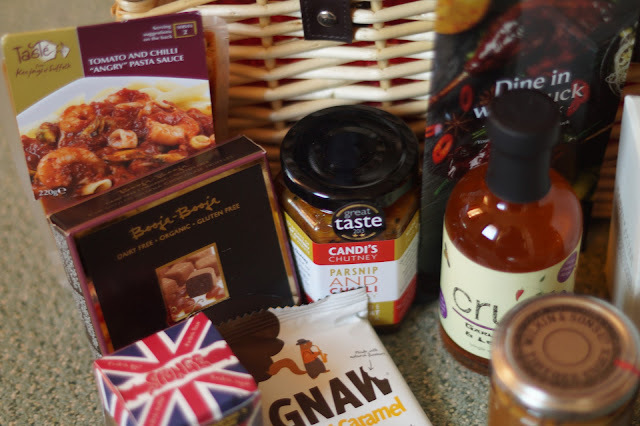 plus the Maldon sea salt flakes will keep us going for ages. 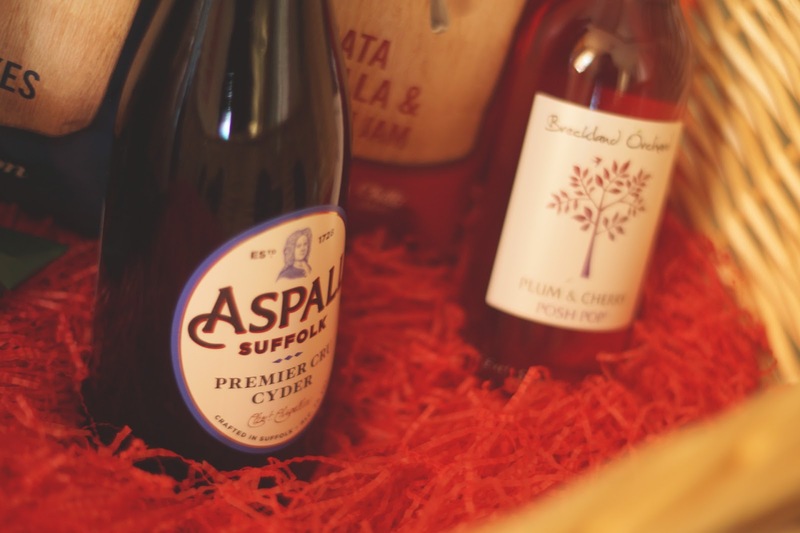 The bottle of Aspalls cider is hidden away for the right moment. Tasle angry pasta sauce from Keejays sounds a little intimidating, maybe I'll give that to C as he is better with spicy food than me. 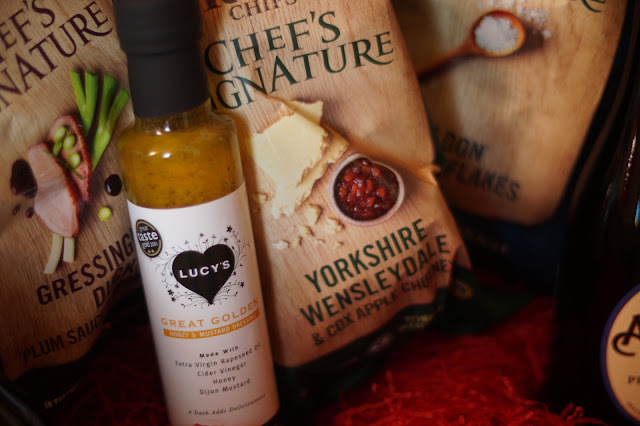 What a great discovery Lucy's dressings is! I hate salad unless it's dressed so finding this inspiring selection of dressings is perfect for me, can't wait to open the great golden honey and mustard bottle. There are 8 in total to try so it sounds like I'll be sorted next summer. So I've been completely spoiled! 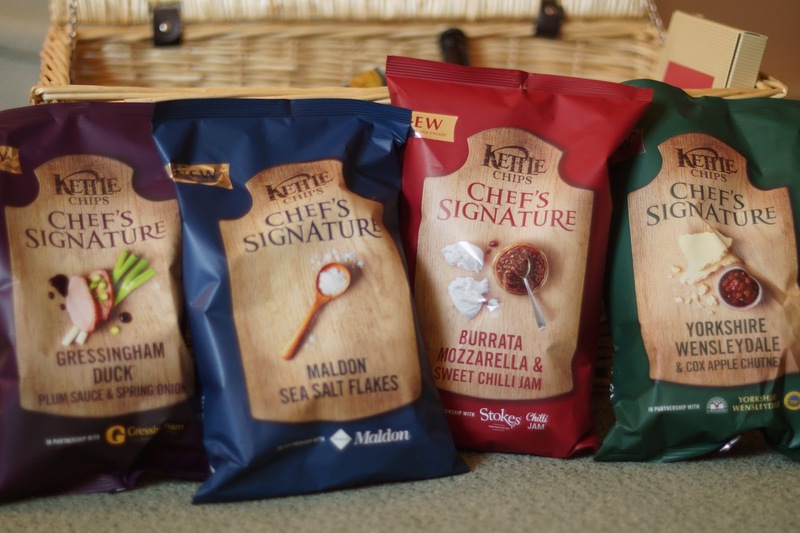 A huge thank you to Kettle for sending me such an amazing hamper. All content and opinions my own. Best spread ever Angela ,jams also fantastic. Wow it all sounds yummy. 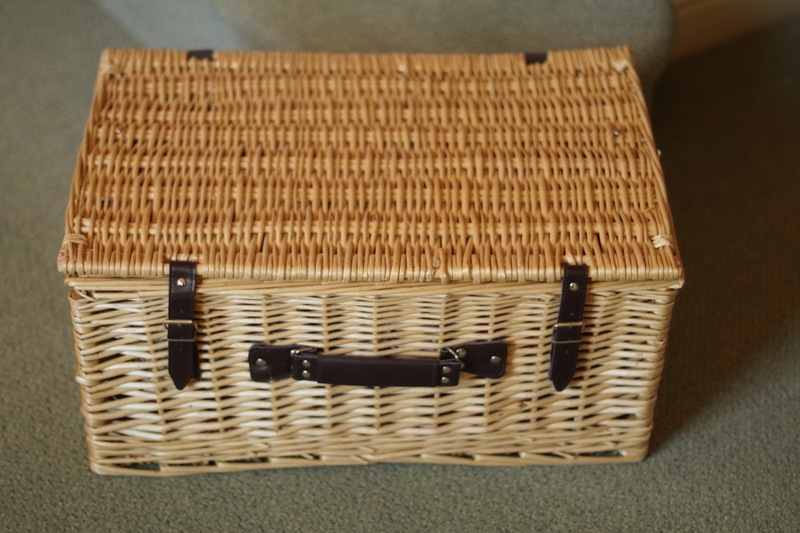 What a fab hamper to receive. This is making me hungry - too much food here that I can't currently eat - all of which looks and sounds divine! Lucky you - what a great hamper.